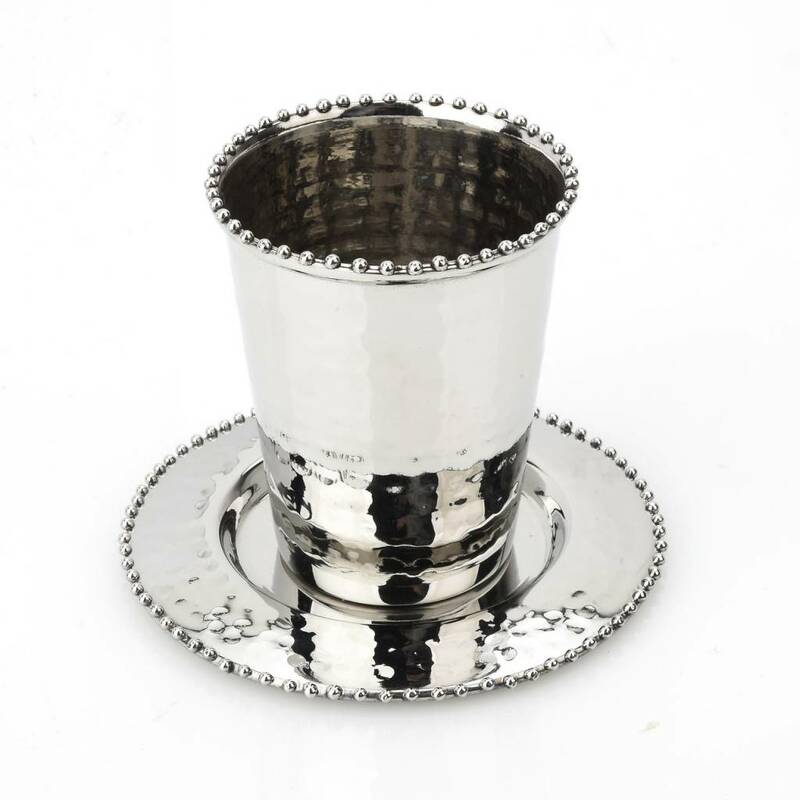 This Kiddush Cup features hammered stainless steel adorned with silver beading. 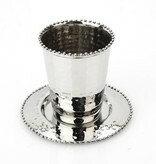 This cup was handcrafted by professional artisans. A perfect gift for family and friends.